first all-electric cars and is the clear market leader in Germany. We are now bringing this successful vehicle to China, and are the first European manufacturer to launch an all-electric car on this market. 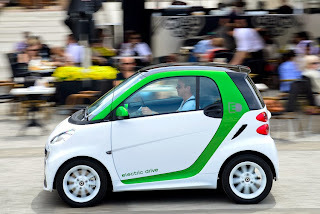 Offering powerful driving pleasure with zero local emissions, the smart electric drive is perfectly suited to China's big cities," said Dr. Annette Winkler, Head of smart.